Welcome to Stars & Stripes Learning Academy. We are extremely honored that you have chosen us to be a part of your child’s learning experience. When you bring your child to Stars & Stripes Learning Academy we realize that you are leaving your heart with us to care for and educate. We do not take that lightly. At Stars & Stripes Kids Activity Center our goal is to provide children's educational programs through physical activity that far exceed the norm. Our programs are specifically designed to meet the needs of each individual child. Our mission statement is and will always be: To build self-esteem, strength and dreams. We offer a safe and kind learning environment where the “child” comes first. We put a lot of passion into developing programs that will not only challenge your child's physical abilities, but will also enhance their self-esteem, discipline, gross and fine motor development, creativity and imagination. We want to give each child that comes to our academy many wonderful activities and challenges that they will look forward to. We want to make learning fun! 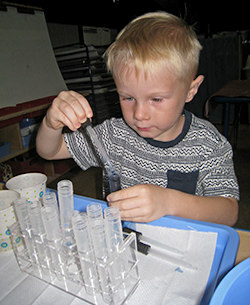 Our program is designed to ensure your child’s seamless transition to Kindergarten. Children will have the opportunity to learn about themselves, each other, and the world around them through meaningful, enriching experiences. 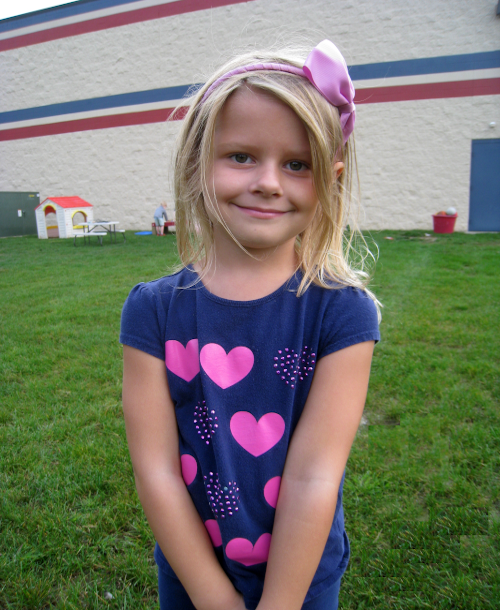 We will strive each and every day to prepare your child intellectually, emotionally and physically for Kindergarten. Once again, we would like to welcome you and thank you for giving us the opportunity to work with your child. This is something that each member of our staff does not take lightly. Please know that we are always here for the child and the family. Together we can make great things happen! At Stars & Stripes Learning Academy, principles of fitness and nutrition are incorporated directly into our daily curriculum. This is something that makes our program unique. While other programs are cutting physical activities from their curriculum in favor for more academic activities, we fully believe physical activities and academics can be integrated into the same program to provide your child with the best education experience possible. In addition to our academic program, children will attend a daily 30 minute gym class instructed by experienced fitness coaches. It has been proven that physical activity promotes brain growth and development in young children. For this reason, we feel physical activities are extremely important to include in each and every child’s life. By laying the groundwork for a healthy lifestyle now, children will be more likely to make healthy choices in the future. At this age, children require challenges, respond to motivation and crave praise. Recognizing that your preschooler needs to be engaged and nurtured at the same time, our highly trained staff gives them both the freedom and instruction to thrive. We take great pride in our educational program. Please read more about we can offer your child. Stars & Stripes is a strong proponent of “Mindful Movement”. Read more about kinesthetic learning here. Stars & Stripes offers After School Kids Club until 6:30pm. Read more about Kids Club & all that entails. The Enrollment Packet must be complete and turned in BEFORE the 1st day of school. Our Parent Handbook is online for your viewing. The Stars & Stripes Business Office will be happy to supply a printed statement. I don’t have enough fingers and toes to count on... So, it is with pride that I can say that I have been working in the early childhood field for many years now. I feel so blessed knowing that I have found my passion and working with young children is something I still find exciting and incredibly fulfilling. My work officially began in high school and from there I earned an associates in Child Development from College of the Canyons with a focus in infant care. Since those early years I have worked with infants through preschool age children in a college based child development center, several large day care facilities, become a mom and most recently worked as a teacher in a co-op preschool setting. Each situation has offered opportunities for me to grow as a person and develop my love of working with young children and their families. I continue to enjoy what I do and find excitement in being a part of so many little ones’ first school experiences. It never ceases to amaze me that every year I learn just as much (or more) from my students as they do from me. My goal as a teacher of little ones is to provide learning opportunities through play that fosters each child’s development. Preschool is often the first time that young children venture away from their parents and interact with children of their own age. The social growth during these early years is phenomenal and I focus on ways to help each child navigate their way through this exciting and sometimes frustrating time. 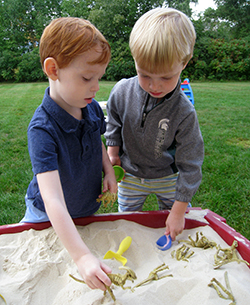 The experiences that are planned for each class are designed to focus on physical, emotional and cognitive growth… the “whole child”. I am excited to offer all sorts of learning opportunities while providing a safe and loving environment for each child to develop at their own pace. Parents play a huge part in each child’s school experience. You are their first teachers and you know your child the best. My experience in the early childhood field and as a parent has helped me continually look for ways to support parents through these early years and nurture the parent/child and family relationships along the way. Your children learn so much from you and my goal is to be there to encourage you and to provide tools and resources whenever they are needed. Most of all I am privileged to have the opportunity to get to know your child and marvel, with you, at how AMAZING they are. That is a gift I treasure each year. I am looking forward to getting to know you all and I am excited to work with your children. It is going to be such an exciting year. I don’t think that there is anything more rewarding than working with children. I love to see them explore and learn new things, and witness the potential that each child has. Because working with children brings such joy to my life, I decided to become a teacher. I graduated from Oakland University with a Bachelor of Science in Elementary Education in 2014. I am also pursuing my master’s degree in Early Childhood Education from Wayne State University, which I expect to receive in late 2018. 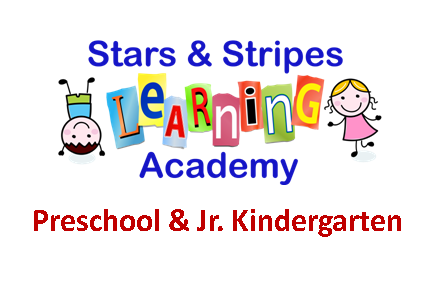 This is the fourth year that I have been the Junior Kindergarten teacher for the full day program here at Stars & Stripes Learning Academy. My goal as a teacher is to give students the opportunity to reach their full potential. For young children, I think that this comes from creating a safe and comfortable learning environment where students can explore ideas and develop skills through play. In my classroom, students will feel comfortable to express themselves as individuals. Each child is different, and I believe that it is important to celebrate these differences. I cannot wait to get to know each child in my class! In my classroom, I will provide fun learning experiences that help foster growth of students in all areas: social, emotional, intellectual, and physical. By creating a well-rounded environment for learning, we can lay the foundation for development in each area. 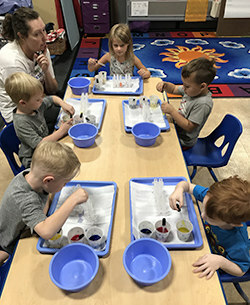 Preschool is an important experience for children because it not only prepares them intellectually for kindergarten, but also gives them the opportunity to develop social skills and give them experience in a classroom setting. At Stars and Stripes Learning Academy, we also focus on the physical development of students through physical activity on a daily basis. All of these factors play a huge role in your child’s overall development. It is going to be a great year at Stars and Stripes Learning Academy! I am excited to work with you and your children. I know that we will be a great team and that together we can help your child reach his/her fullest potential. Let’s learn together!